Jess Blair outlines a new report, which has identified abuse and work life balance as the major barriers to diversity. Jess Blair urges the Assembly to take the lead on democratic reform ahead of a motion today in plenary. Does the Welsh Assembly have a relevance problem? David Taylor says that calls for more Assembly Members fail to understand the current feelings of the public. Lee Waters considers voter alienation in the current political climate and how that might impact on support for the Welsh Assembly. And Ladies and Gentlemen we have deadlock. Mat Mathias reflects on ‘the week that was’ in the Assembly. Nicolas Webb assesses the Welsh Conservative election campaign. Nick Ramsay calls for secret ballots to be used to appoint Assembly Committee Chairs. 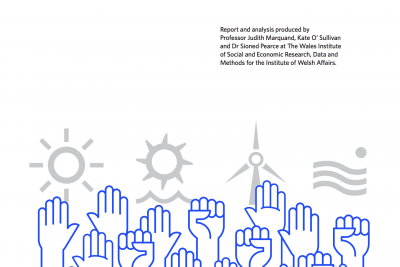 Alun Ffred Jones outlines the findings of a recent report into the future of energy in Wales.